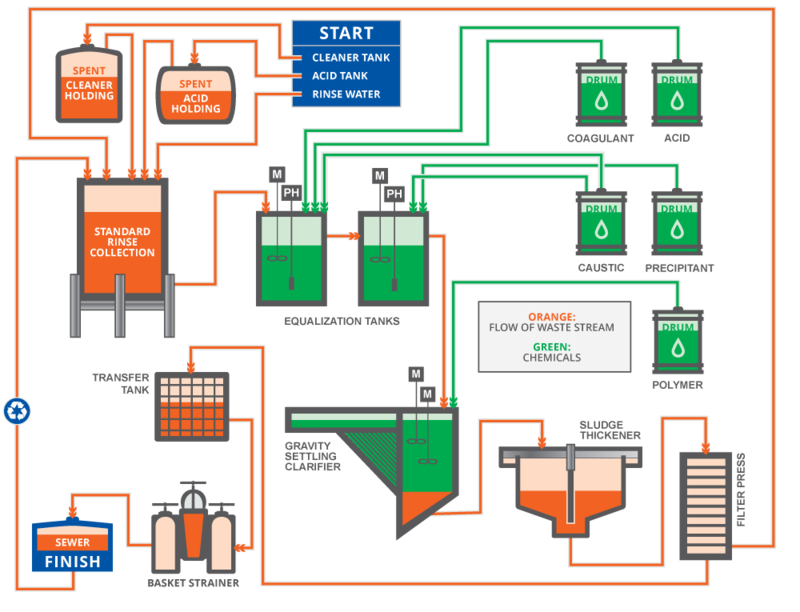 Wastewater treatment is the concern of a variety of industries, from metal plating and printed circuit board manufacturing to municipal wastewater treatment facilities. Seacole Specialty Chemical manufactures, blends, and distributes acids, coagulants, deodorants, polymers, and precipitants for every stage of your wastewater treatment process. Choose from inorganic or organic cationic products designed for use in industrial and municipal treatment applications. Use coagulants to remove grease, water-based inks, metal finishing wastes. Seacole’s polymer anionic flocculants are effective coagulant aids. Our flocculants increase floc size and density to improve sedimentation and sludge dewatering. Our metal precipitants lower the concentration of heavy metals in your wastewater when conventional treatments fail. Add precipitants with our coagulants and flocculants to increase sludge density and sedimentation.